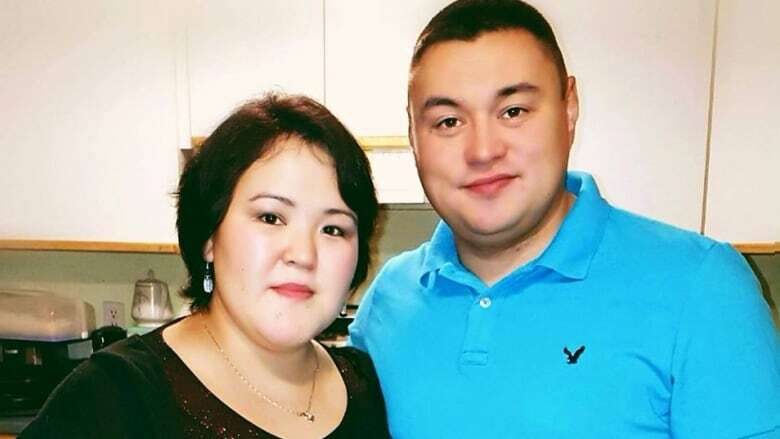 ‘It takes a busy mom to get things done,’ says the mother of 5, who was acclaimed as next MLA for Kugluktuk after Premier Peter Taptuna decided not to run again. Mila Adjukak Kamingoak will be the next MLA for Kugluktuk, Nunavut. She was acclaimed as the only candidate standing after Premier Peter Taptuna announced last week he would not be running in the next territorial election. Kamingoak said she didn't know Taptuna would not be standing for re-election — and that she would win by acclamation — when she decided to run. "I was prepared to run against the premier, as well as anyone who may have thought of campaigning for MLA of Kugluktuk," Kamingoak said. This will be her first time in elected office, but she said she's familiar with the workings of political life. Kamingoak took part in the campaigns of her uncle, Charlie Evalik, former president of the Kitikmeot Inuit Association, and her brother-in-law PJ Akeeagok, president of the Qikiqtani Inuit Association. Her other uncle, Stanley Anablak, is the current president of the Kitikmeot Inuit Association. Kamingoak is an administrative officer for the Government of Nunavut Department of Culture and Heritage in Kugluktuk, and has previously held administrative positions for the territorial government, the hamlet of Kugluktuk, Inuit Tourism, and the airline Canadian North. "My family and my community were a huge inspiration on making this huge decision," Kamingoak said. "I can engage with the community and go out there and speak with them — to see what types of issues they may have — and bring them forward to the Government of Nunavut." 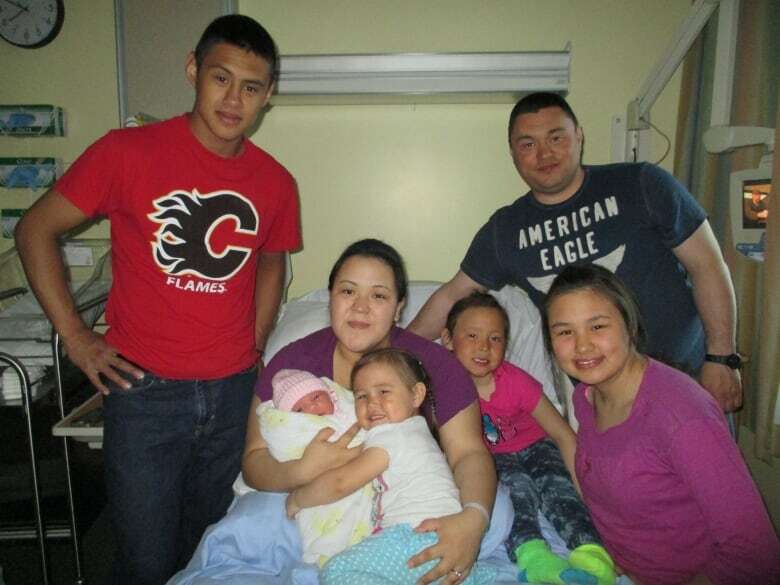 Mila Kamingoak with her five children and spouse Russell Akeeagok, back right. She won the Kugluktuk, Nunavut, riding by acclamation. Kamingoak said she was born in Kugluktuk and raised there, although she's lived in Cambridge Bay and Iqaluit for work. She'll take advantage of the next few weeks before the election at the end of the month — which she doesn't have to campaign for — to go door-to-door in Kugluktuk and meet with families before finalizing her priorities for the legislature. Mental health and health care in general are the two subjects that come up most often when she talks to people in the community, she said. For Nunavut overall, Kamingoak said "it's a variety of things: health, mental health, education, development in employment and training, child care, housing … it's all that." Kamingoak is not unaware of being a woman in a male-dominated arena. Of the 72 candidates for election this year, only 17 are women. "I ran to inspire other women — especially busy moms out there — to know that anything is possible and it takes a busy mom to get things done," Kamingoak said. "Anything is possible whether you're a man or a woman. I hope to bring confidence to other women to get into politics." Kamingoak expects her new role in government will not always be easy for her and her family. She has two boys, a 19-year-old and the other, eight years old; and three daughters, 14, four and two years old. She'll have to spend long stretches away from Kugluktuk and her family while serving in the Iqaluit legislature. "It's definitely going to be a challenge because I'm a mother first and foremost," she said. "I'm gonna miss them. There's birthdays I'll be missing. Without the support of my husband, I wouldn't have been able to take this decision in going forward."